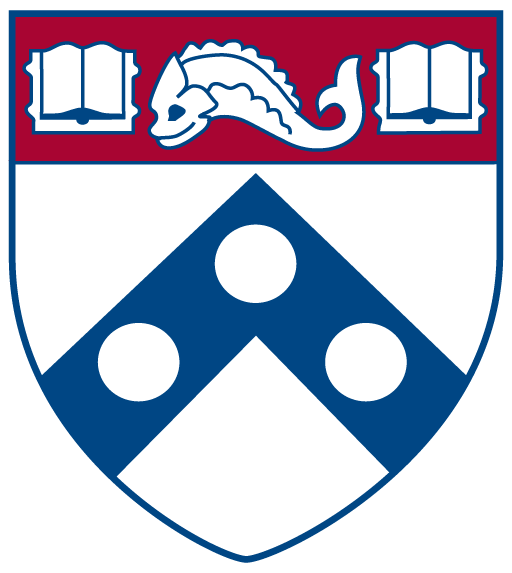 Together with the American Chemical Society (ACS), the University of Pennsylvania is pleased to host the fall 2016 Graduate Student Symposium. 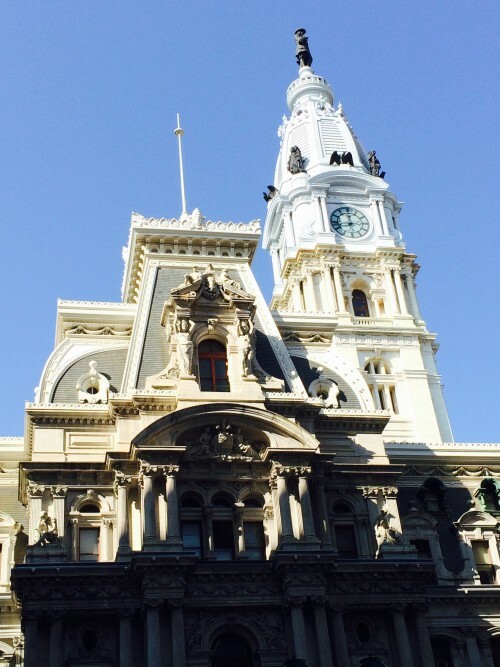 The theme of the fall 2016 ACS National Meeting in Philadelphia, Pennsylvania is “Chemistry of the People, by the People and for the People,” reflecting the great historical significance of the host city and the people who have inhabited it. 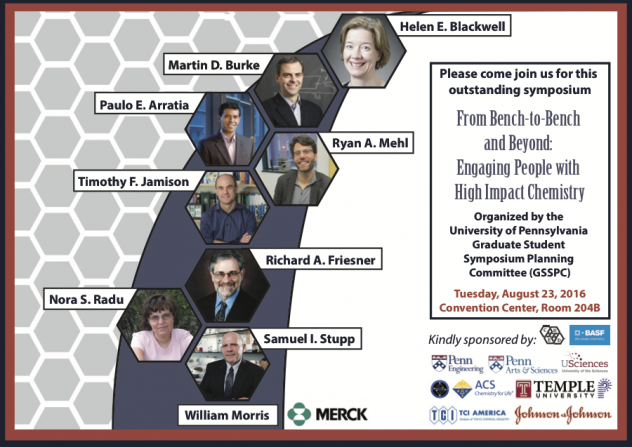 In accordance with this theme, the symposium titled “From Bench-to-Bench and Beyond: Engaging People with High Impact Chemistry,” is designed to highlight the interactions that occur between chemistry and people. Primarily, we seek to highlight the collaborations between scientists (‘bench-to-bench’) and in the application of chemistry for the general public (‘beyond the bench’). The invited speakers will not only showcase how their companies and/or their research groups are sharing knowledge with people or creating innovative chemistry for the people, but will also participate in an interactive discussion panel. We are very excited to be organizing this event and look forward welcoming you to the City of Brotherly Love.